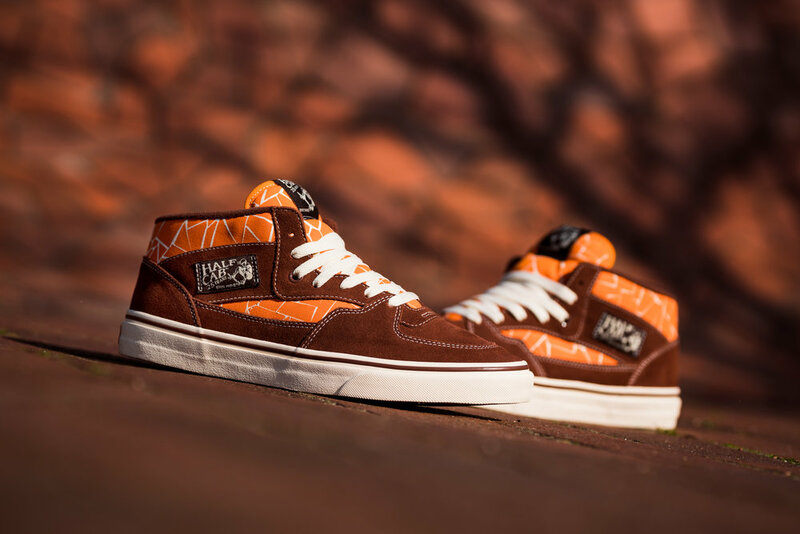 Vans Skate x Trap Skateboards "Save the Wilhelmsburg" Half Cab Pro — strictly waffles. This year marks 25 years since Steve Caballero and Vans released the Half Cab. It has since become what is arguably the greatest skate shoe of all time. Germany's Trap Skateboards got together with Caballero and worked on a unique design that not only does justice to the silo but also is a bit of a call to action to save one of Germany's great skate landmarks: the Wilhelmsburg Banks skatepark. The crew at Trap did a great job at the color blocking on these Cabbies. The vamp, heel counter, and eyestays are all draped in premium, deep burnt sienna hued suede. 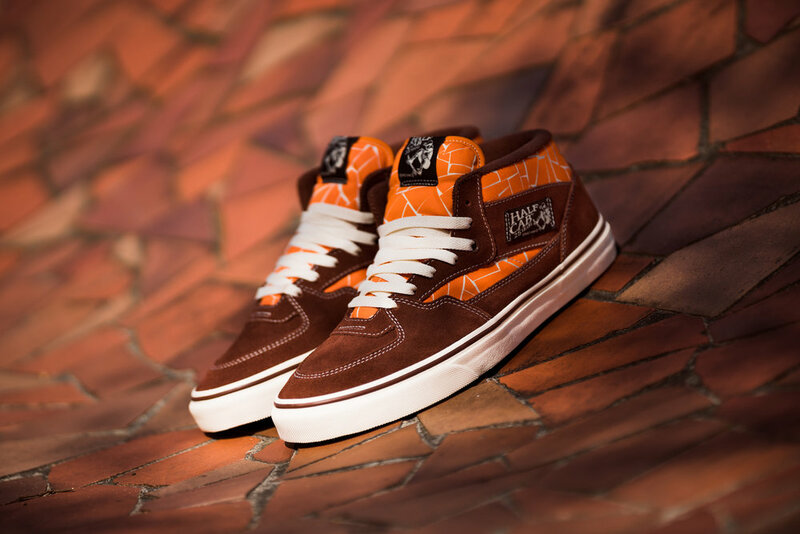 The ankle collar is done up in an orange mosaic tile motif that pays homage to the well-known mosaic quarter pipe wall at Wilhelmsburg Banks in Hamburg. The pair is finished with black special edition Half Cab woven labels and white foxing. Wilhelmsburg Banks is one of the most famous skate spots in all of Germany. The beautiful terracotta tiling and Hamburg setting makes for one of the more memorable skate sessions you can have in Europe. Unfortunately, the park is in danger of being closed and demolished forever. There is a movement to stop this from happening. If you would like more info on how to get involved, head over to Save Wilhelmsburg Banks on Instagram. 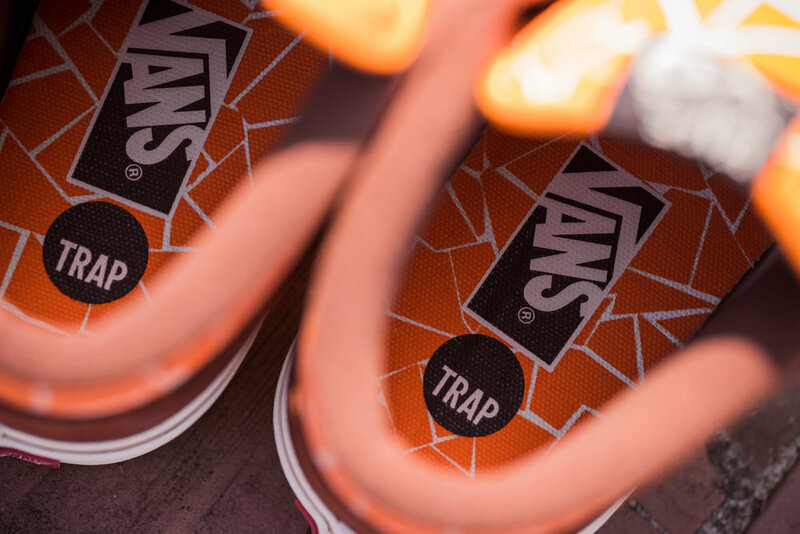 Vans Skate x Trap Skateboards "Save the Wilhelmsburg" Half Cab Pro is extremely limited and only 200 pairs will be sold globally. An initial release will be held tomorrow, June 1st, in store only at Supreme LA. 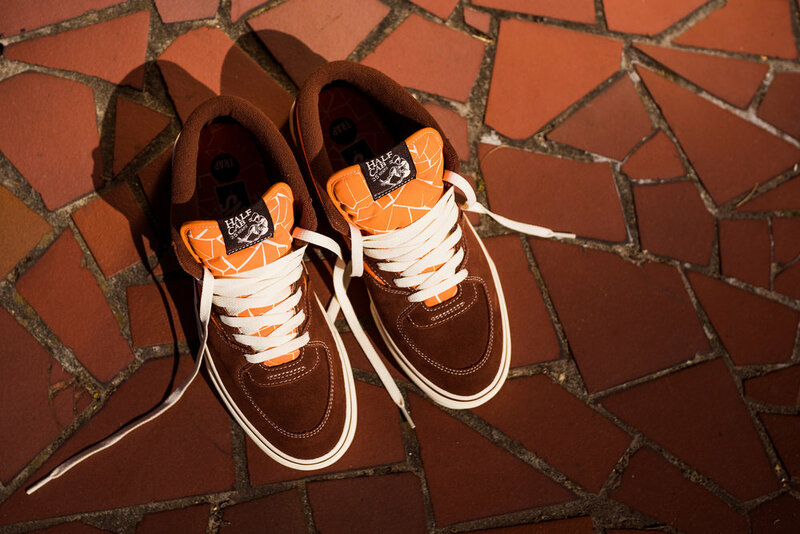 A larger European release at select Vans Skate stockists is planned for Saturday, June 10th. Check your local shop for details on how they will handles this release. Retail is $69.